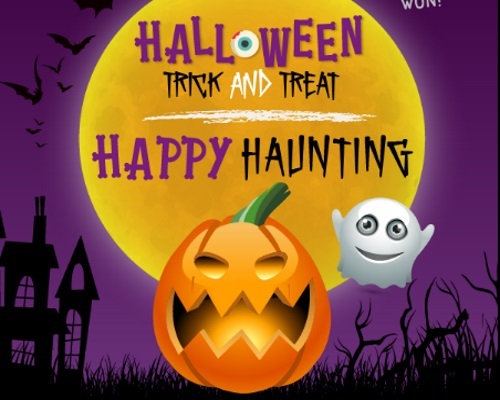 Cetaphil's Halloween Trick & Treat contest has begun! Head over to the Cetaphil website (link below), read the daily clue and search the pages for a hidden jack-o-lantern. Or if you’re brave enough, stay in the haunt to find the Challenge Level ghost to enter for your chance to win another daily giveaway. Find the hidden jack-o-lantern, click on it to reveal the daily entry form. Fill in the form to enter for your chance to win 1 of 3 Daily Free Product Prizes. Find the hidden jack-o’-lantern and submit the form on 5 or more days, for a chance to win the Cetaphil Halloween Grand Prize, with a retail value of approximately $210, consisting of $60 worth of Cetaphil products and a $150 Prepaid Gift Card. Contest closes October 31, 2016 at 9am ET. Limit 1 entry per person per day. October 30 - Like a jack-o-antern's insides, your outsides can get very dry. A cream of emollients and humectants can hydrate and fortify. (hidden pumpkin here and hidden ghost here (under skincare solutions)). Not open to Quebec residents. Don't waste your time. Thanks for the spoilers, I think they messed up on the pumpkin today. Yep, because I hadn't found it yet at the time. It's there now. Sometimes I ask that other people help me find it on Facebook and once someone posts where it is, I update the post. Thanks for posting the ghosts, I'd be looking all day if it wasn't for your posts.